It’s terrifying to think that the nation’s most elite federal law enforcement agency could be so wrong on so many cases. It’s terrifying to think that the nation’s most elite federal law enforcement agency could be so wrong on so many cases over such a staggeringly long period of time. Now, the same type of situation is occurring in Central Florida. 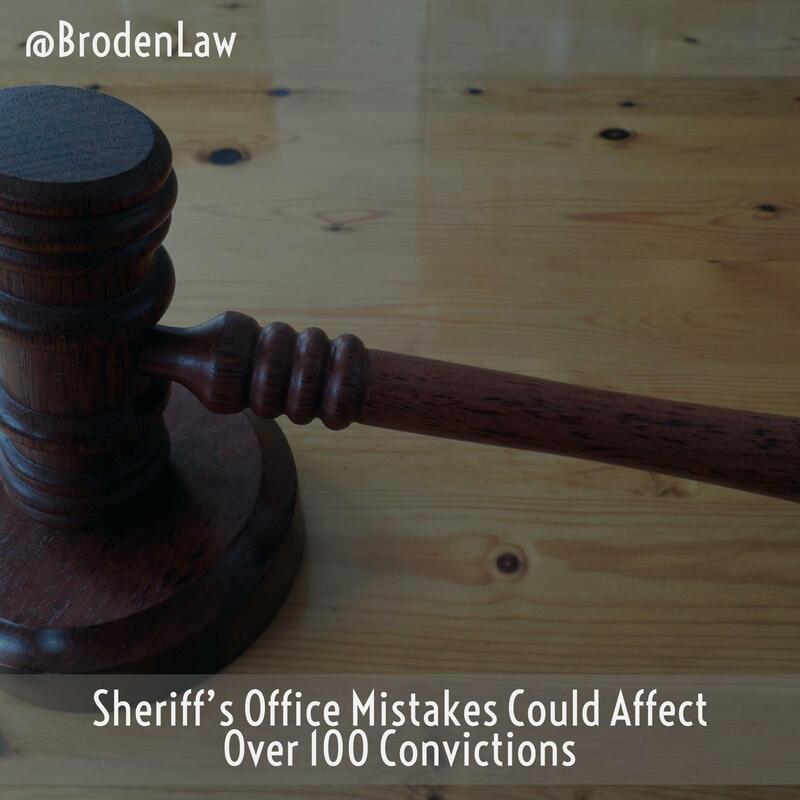 Media reports state that over 100 defendants could have their convictions reviewed due to flawed fingerprinting techniques conducted at an Orange County Sheriff’s Office. Even more shocking, authorities report the defective print analysis could potentially impact over 2,500 cases. Fingerprints are used to match suspects with evidence left at the scene of a crime. As a result, fingerprint analysis is extremely useful in helping prosecutors prove their cases beyond a reasonable doubt. But what if the fingerprinting analysis is performed by someone without the skill and knowledge to carry it out properly? Further digging into the examiner’s personnel file shows he was prone to errors for years — possibly affecting more than 2,500 cases. Just how common are false convictions? The answer is shocking. In 2015 alone, nearly 150 people — a record number — were freed after being convicted of a crime they didn’t commit. Among those individuals, nearly 4 in 10 were exonerated of murder. All of those exonerated had spent over 14 years in prison, and some had served more than 30 years. “Official misconduct” by prosecutors and police played a role in 65 of the exonerations.